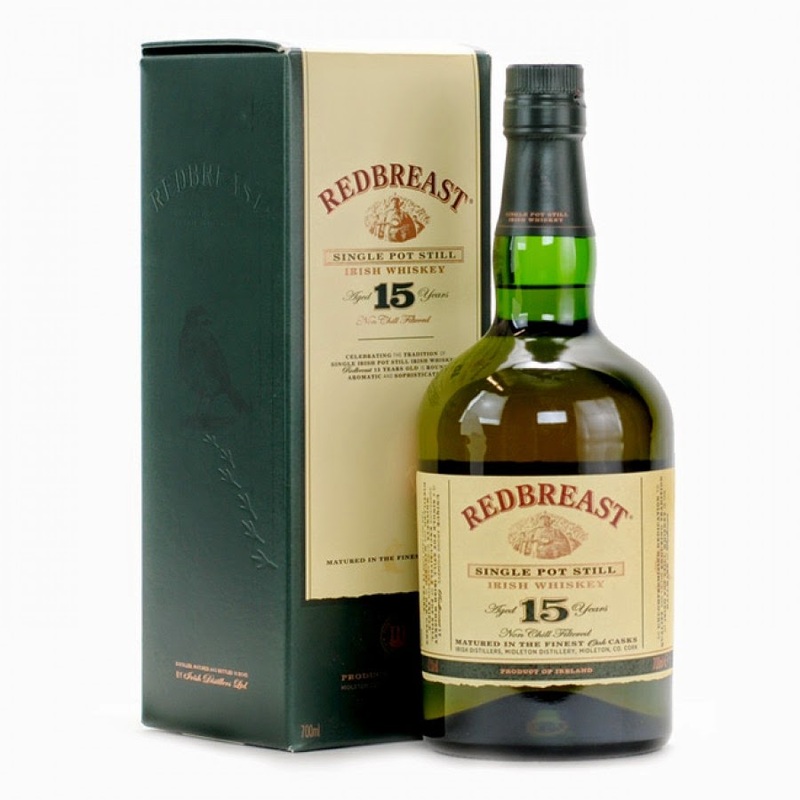 The big brother to the very popular and famous Redbreast 12 year old. The smell is very warm, sweet and fruity. Vanilla, raisins and blue berries. The taste is oily and spicy. Caramel fudge, malt, apples and a hint of orange. It is a shame that good Irish whiskey are so expensive, because this is good. I would definitely drink more Irish whiskey if it wasn’t that I could get just as good Scotch whisky for a whole lot less. The finish is sweet and with some bitterness from the oak mixed with some light fruits and makes me think about cake. It stays in the mouth for quite a while. Almost like a cask strength whisky, but without the burning from the alcohol. This is how I prefer Irish whiskey. With depth, lots of flavors and matured in sherry casks. I will give this whisky 88/100 (21/22/23/22).